Greenleaf Hospitality Group’s Wings Event Center was built in 1974 and has been home to the Kalamazoo Wings of the ECHL since the 2009-10 season. 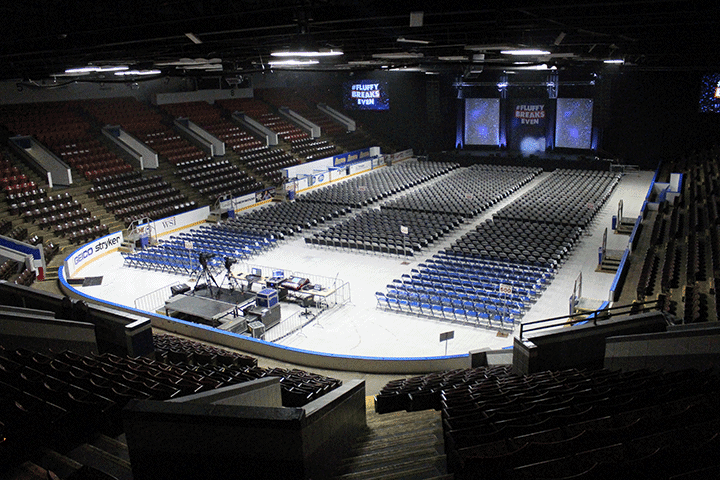 Wings Event Center is a full entertainment venue offering concerts, professional hockey, family shows and trade shows. The building capacity is 6,300 for festival style concerts, with seating capacity for hockey at 5,113. Wings Event Center features four full-service concourse cafes with three specialty bars located at concourse level. The facility, open year round, attracts spectators by offering a wide variety of events ranging from K-Wings hockey to appearances by the Harlem Globetrotters and WWE (World Wrestling Entertainment).